For promoting and revitalizing the appreciation of agriculture among the youth, the University of the Philippines Genetic Researchers and Agricultural Innovators Society (UP GRAINS) from the University of the Philippines – Los Baños was recognized by Lenovo Philippines as an Outstanding Tech Visionary in this year’s Ten Accomplished Youth Organizations (TAYO) 15 awards held recently, at the AG New World Manila Bay Hotel. Now on its 15th year, TAYO is considered the nation’s premier search for outstanding youth organizations that have created a huge impact in addressing the country’s pressing concerns. 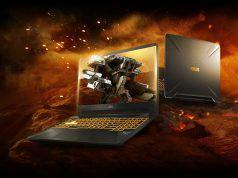 The Lenovo Outstanding Tech Visionary award is a special citation given to the organization with the most meaningful project that addresses key issues through the innovative use of technology. 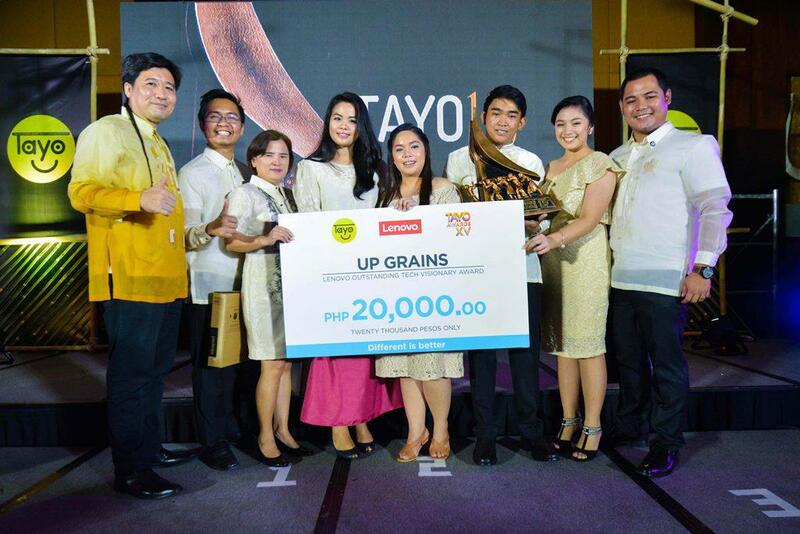 For its project Lakbioteknolohiya (Lakbay-bioteknolohiya), UP GRAINS was chosen by Lenovo Philippines among this year’s 20 TAYO Finalists. 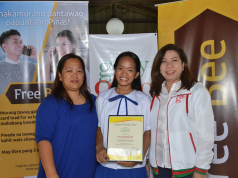 Together with the award, the organization was also given PHP 20,000 and a Lenovo laptop. “With their project Lakbioteknolohiya, UP GRAINS showed dedication and creativity in addressing the long-standing problem of the public’s lack of interest in agriculture. This is in line with Lenovo’s “Different is Better” philosophy that is built around a fundamental belief that innovation is the best way to address challenges and embrace progress,” said Lenovo Philippines Country General Manager Michael Ngan. Formed in 2014 by Bachelor of Science in Agricultural Biotechnology (BSABT) students, UP GRAINS is a service-oriented academic organization that promotes agriculture through various activities involving agricultural biotechnology. Lakbioteknolohiya is an information and workshop drive held in high schools and communities where agriculture is the main source of income. 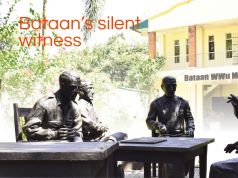 Most of the lessons taught are from UPLB’s curriculum, such as DNA extraction, Hydroponics, Plant Disease Diagnosis, and Fermentation Technology. Hands-on exercises on urban farming and agricultural biotechnology experiments are also included in the workshop, and all of these are geared towards improving agricultural production and maintain quality agro-environments. 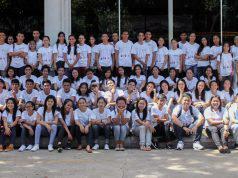 “As scholars, and because UPLB is the only school that offers a course in Agricultural Biotechnology, we took it upon ourselves to teach the masses the many benefits of agriculture and encourage them to engage in the practice,” said Albert Caraan, a member of UP GRAINS and the Project Head of Lakbioteknolohiya – Camarines Norte. The first division-wide edition of Lakbioteknolohiya saw members of the organization teaching in the province of Camarines Norte, where an estimated number of 300 students and teachers participated. After the project, Caraan revealed that the participants used the knowledge that they obtained to conduct their own research and activities in order to help improve their region’s agriculture. This came in the form of published investigatory papers and modern gardens with hydroponically grown crops, which provides better yield. But for Caraan, the most important takeaway from the project is the renewed interest among the youth to take up agriculture in the future, both in college and as a career option. “Seeing the students’ willingness to take up agriculture-related courses really made our day, as this has been objective ever since we began in 2014 – to promote agriculture in order to attain a very strong agricultural sector in the near future. Despite being a country that heavily relies on agriculture, the number of students taking agriculture-related courses has unfortunately dwindled throughout the years, and the sector badly needs more people,” said Caraan. Recognized as a global leader in technological innovation, Lenovo has been the exclusive technology partner of the TAYO Awards Foundation since 2012. 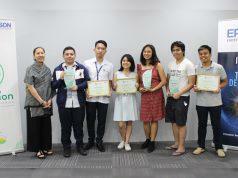 Aside from providing the selection committee laptops and tablets to be used throughout the awarding process, Lenovo also awards all declared 10 Outstanding Youth Organizations a Lenovo laptop. “We are honored to be once again partners with the TAYO Foundation, and we congratulate the TAYO Awards for reaching 15 years. At Lenovo, we always strive for innovation, and every year we look forward to see how the various youth organizations work together to make the world a better place. Our partnership with the TAYO Foundation gives us the perfect opportunity to help these organizations achieve their goals,” said Ngan.